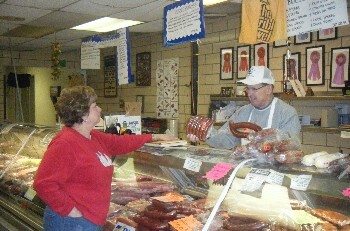 84 Packing Co has been a successful Federally-inspected retail and meats-processing business in Eighty Four, Pennsylvania for over eighty years, founded in 1930 and still in the same location. Our success can be attributed to high-quality and uniqestyle of our product line. Everything made here - award winning hams, bacon, sausages, and dry-aged steaks - are made entirely from scratch with no fillers or articifical flavors…the way it should be! We take great pride in everything we do so that the end result is a special meal that you and your family will remember!